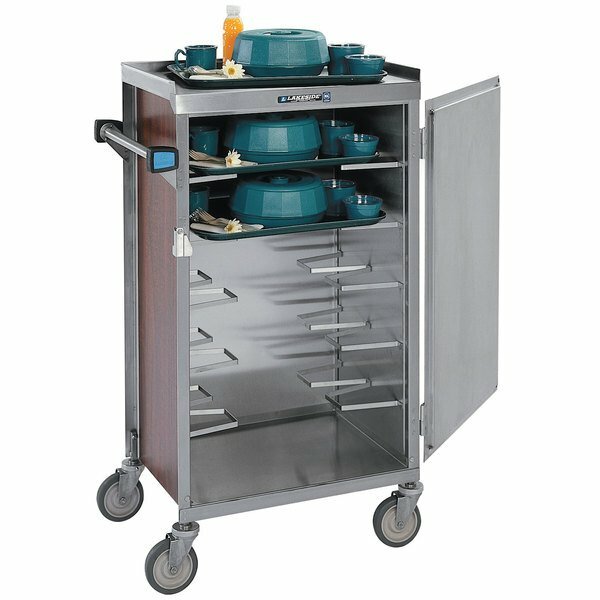 Easily deliver pre-assembled meal trays to your patients, residents, or customers with this Lakeside 654 stainless steel meal delivery cart! 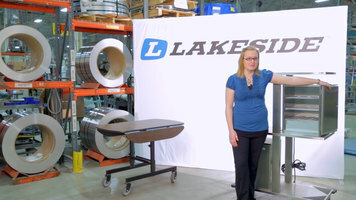 This cart will hold up to 6 trays measuring 14" x 18" or 15" x 20". 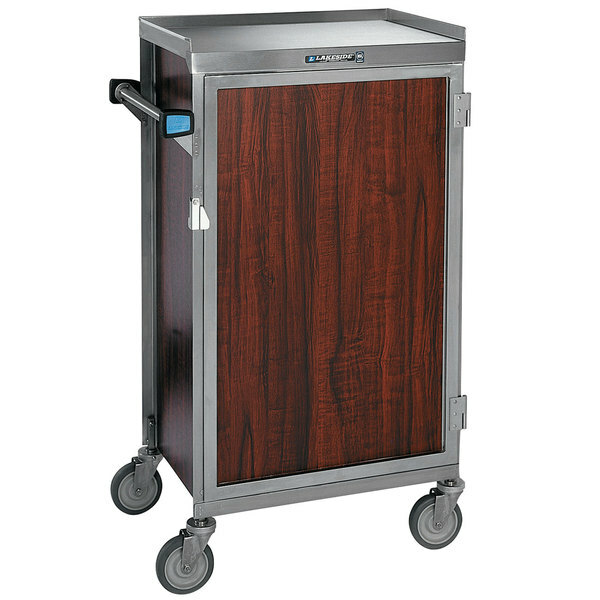 With 6" ledge spacing this tray cart offers plenty of room for a heated pellet plate system and with insulated covers, a necessity for any healthcare facility or retirement community with a tray service system. For unobstructed access, this unit's door opens to 270 degrees. Plus, the door features a wear-resistant latch to withstand repeated opening and closing without breaking down. This unit features a stainless steel construction so that you can be sure of long-lasting durability and ease of sanitation, while the exterior's walnut-colored vinyl finish provides an elegant appearance. Great mobility is a given with this tray delivery cart! A horizontal push handle offers an excellent grip while the four 5" Lake-Glide® non-marking, heavy-duty stainless steel swivel stem casters provide maneuverability and keep your floor free of scuffs.